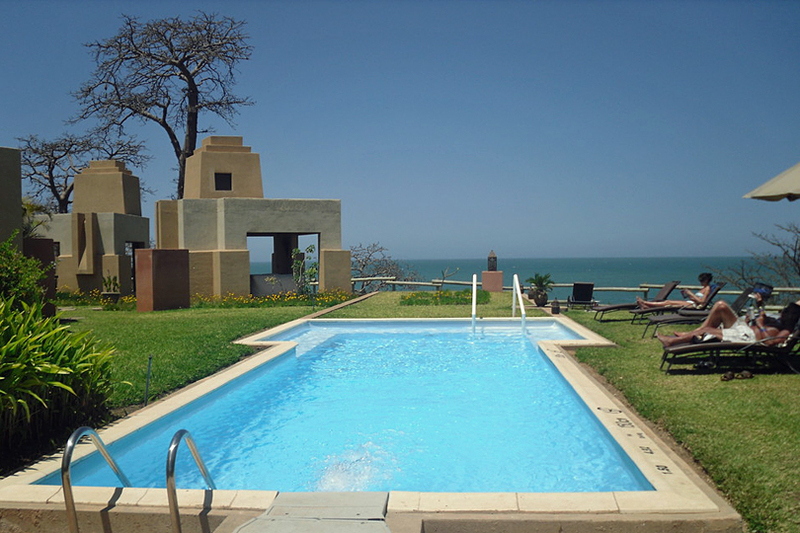 Imagine looking out from the clifftop with a view of the ocean, a gentle sea breeze caresses your skin. As your eyes close your expert therapist starts to work their magic. What better way to relax and unwind while on holiday than with an hour or two’s pampering at one of The Gambia’s exclusive spas. Elegant and serene, they offer you the chance to completely spoil yourself at a fraction of the price you would pay for a similar treatment in the UK. If you are looking for the ultimate in luxury, a visit to the Coco Ocean Resort and Spa is a must. The hotel’s distinctive Moroccan-inspired architecture, with white domes shining under the African sun, is a sumptuous backdrop for a little self-indulgence. 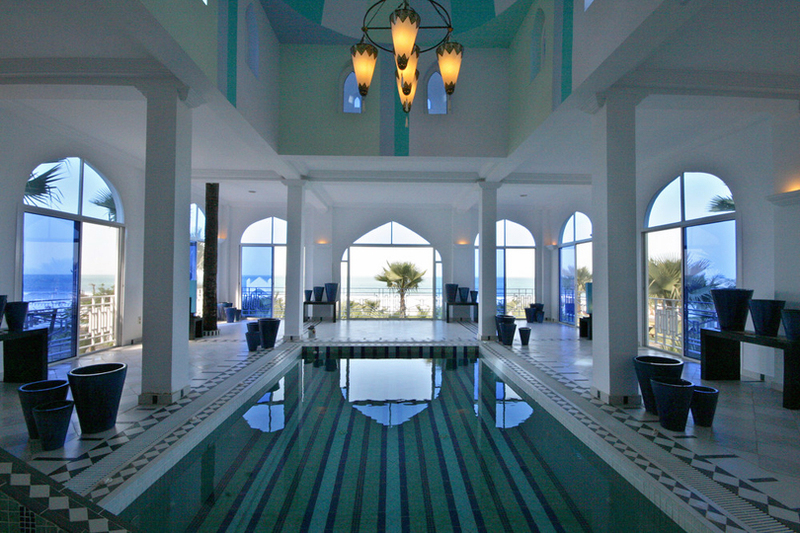 The Spa itself, the first in The Gambia, features an indoor swimming pool in an opulent and tranquil setting, a hamam, an ice plunge pool, nine treatment rooms plus a further five suites specifically for couples. My morning at The Spa started with a hamam, a traditional Moroccan steam-bath and cleansing routine that left my skin feeling silky soft and refreshed. From here I was shown to another treatment room for a hot stone massage where my expert therapist kneaded and pummelled my new skin. I then had a few moments to myself reclining on a white leather sofa, sipping a refreshing cup of herbal tea and enjoying the view of the ocean before a fabulous Asian foot massage took me to an even deeper state of relaxation. At the end of this blissful two and half hours I floated out of the spa feeling thoroughly renewed. I wasn’t quite ready for my ‘me time’ to end just yet so I finished my visit to this sumptuous hotel with a lovely lunch in their beach side restaurant with a view of the sands and the sound of gently breaking waves. 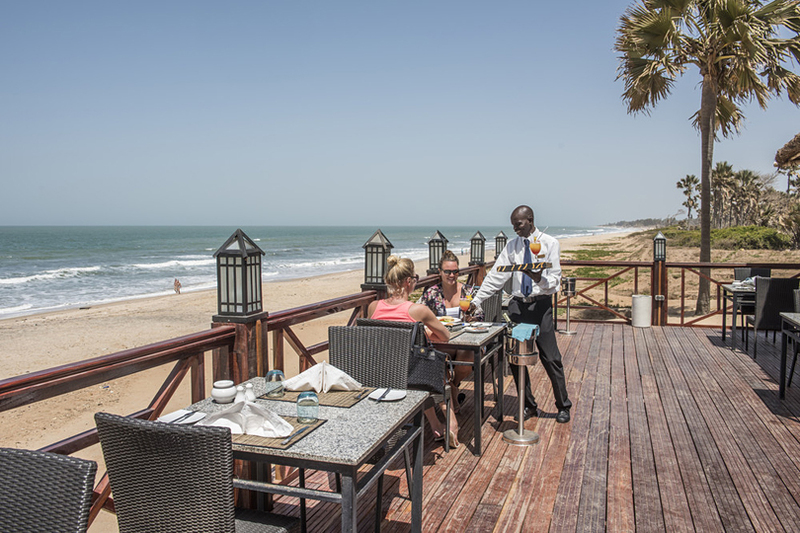 Gambia Experience guests staying at Coco Ocean receive a with 10% discount and, during winter 2015/16, for a limited time only, a complimentary 30 minute spa treatment. Guests not staying at the hotel are also most welcome to visit The Spa but advanced booking is recommended. Please call 00220 4466904 / 7375615 extension 227. 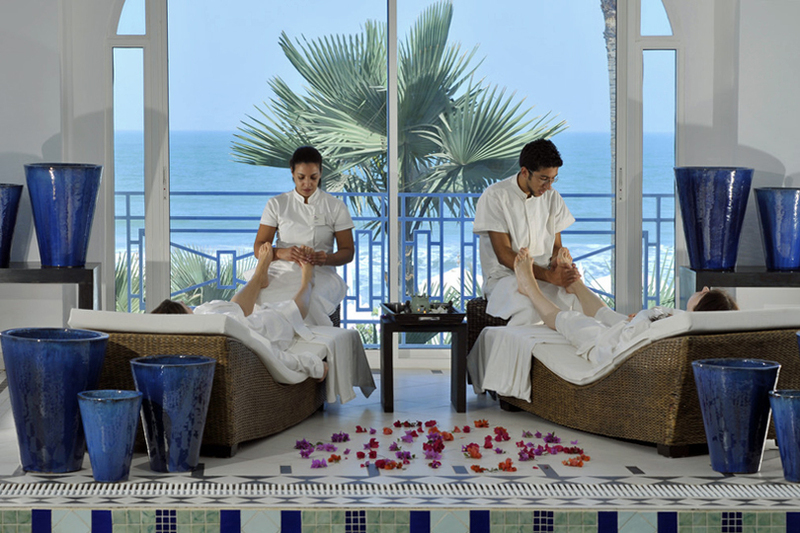 The Naatange Spa and Fitness Centre, at The Gambia Coral Beach Hotel & Spa in Brufut, offers an extensive choice of massages, scrubs and wraps as well as beauty treatments exclusively for their guests and gym members. Their signature massage, combines four different techniques, namely a Bali hot stone massage, a Swedish leg massage, an Indonesian hand massage and an Indian head massage. Lasting an hour, as I found out for myself, this is a superbly relaxing experience that left me feeling thoroughly pampered from top to toe. 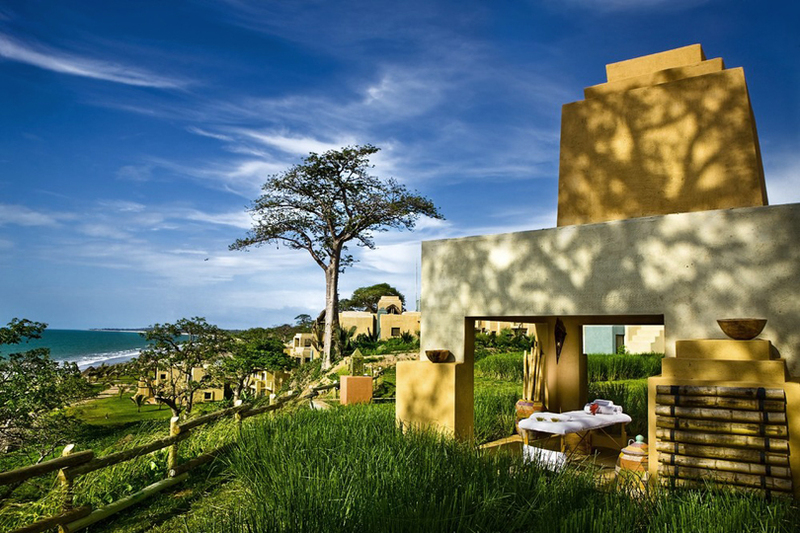 Facilities at the spa include a sauna, steam room, a lovely cliff-top swimming pool, three smart indoor treatments rooms and three outdoor massage alcoves overlooking the Atlantic Ocean. 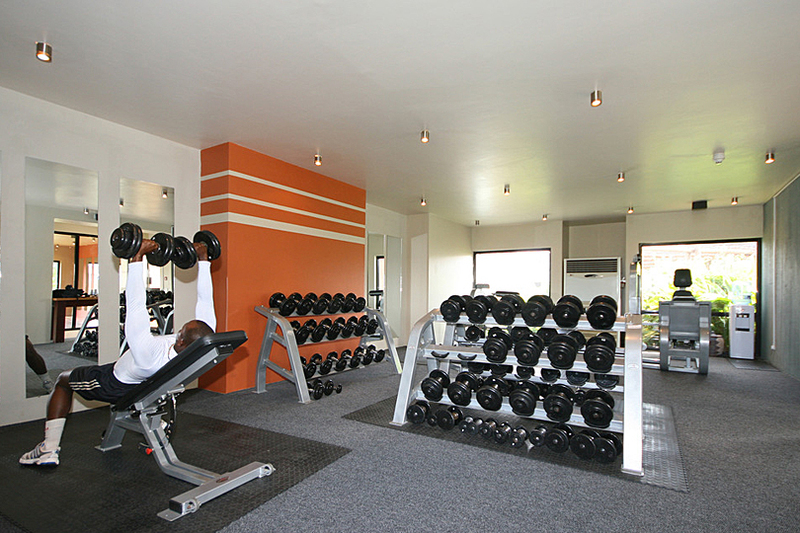 There’s also a small but fully equipped gym with state-of-the-art workout stations including treadmills and stationary bikes. As well as the friendly staff, what really makes this spa stand out for me is the location; majestic baobab trees and African inspired architecture, surrounded by green lawns on a hillside looking out to sea, all blend harmoniously to create a stunning setting, a wonderful place to escape to for a spot of R and R.
To find out more about gym membership please contact 00220 4410889. As well as these two lovely spas, beauty treatments are also available at a number of other properties from the Luxury Collection including Ngala Lodge and the White Horse Residence. Whether for yourself or for a loved one, with the price of treatments being so reasonable when compared to European prices, it would be a shame to miss out on the opportunity to enjoy the ultimate in pampering in such idyllic surroundings.